Football fans have mocked a bizarre mural of Harry Kane after a photo of it appeared on social media. 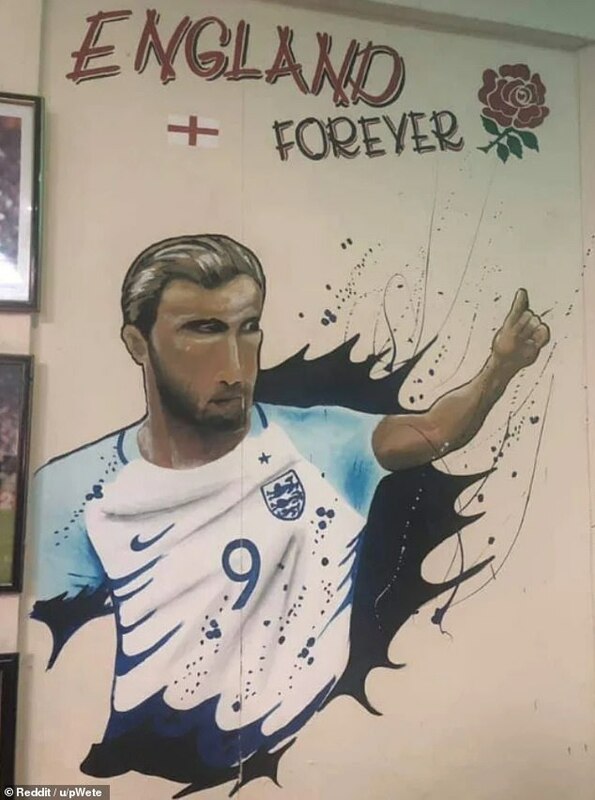 The botched painting adorns the wall of a pub in Wembley Park, and it appears to show the England captain celebrating while playing for his country – but his features are a little distorted. The mural depicts Kane’s visage to have over-extending cheeks while it also drastically reduces the size of his raised arm, rendering his clenched fist to appear more like the end of someone’s foot. And fans have also not held back in their appraisal of the Kane tribute. One Reddit user brutally slammed it as ‘God’s cruellest mistake’, while another posted that Kane’s injury sustained against Manchester City last week ‘was more severe than previously reported’. The mural follows a pattern of obscurely depicted football stars, including Cristiano Ronaldo’s notorious bust at Madeira airport. The original design was mercilessly derided by people from across the world, so much so that it developed a cult following. 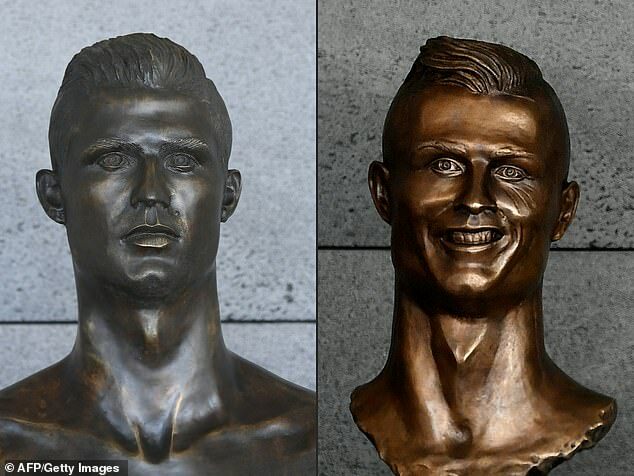 Madeiran artist Emanuel Santos was tasked with creating the image of Ronaldo and spent three weeks on the project, with the bust unveiled when the airport was renamed in Ronaldo’s honour in March 2017. But when the bust was replaced by one with a greater likeness to the Juventus star, there was a public outcry and a petition was even set up to bring back the original. 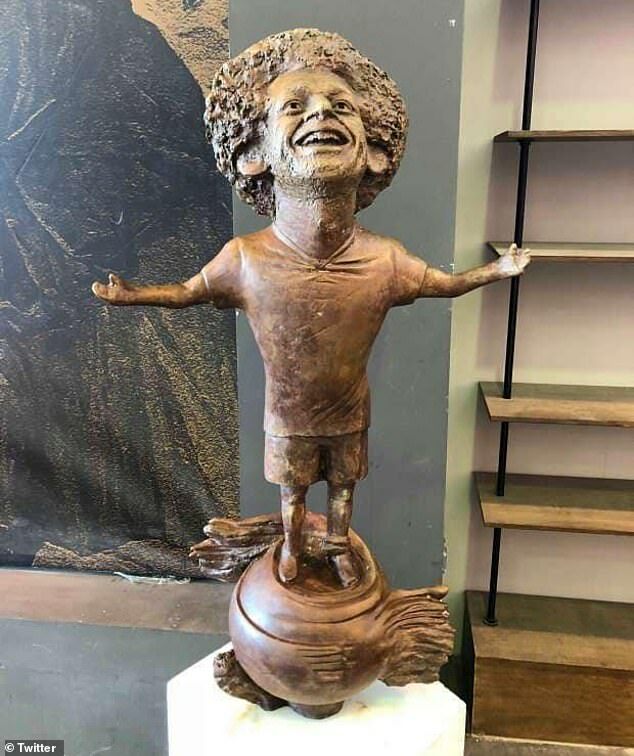 Mohamed Salah has also fallen prey to a questionable art job, when a statue emerged of Liverpool’s talismanic forward emerged last year. The strange work of art, created by Mai Abdel Allah, is supposed to represent Salah as a great example of dedication and determination, and it is said to have taken a month to create the tribute piece. The sculptor told the Egypt Independent that the statue is ‘opening his arms to the fans’ after scoring goals but one Twitter user questioned why the body what that of ‘an eight-year-old’s’. Kane’s Tottenham side take on Manchester City tonight but the England captain will not be taking part. 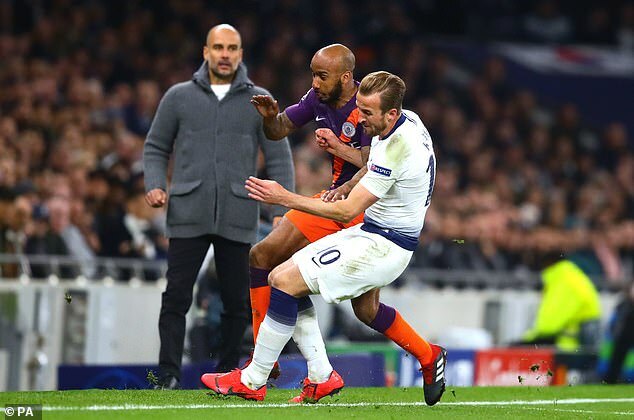 He sustained an ankle ligament damage during Spurs’ 1-0 first leg victory at the Tottenham Hotspur Stadium, and he is set to miss the rest of the season. 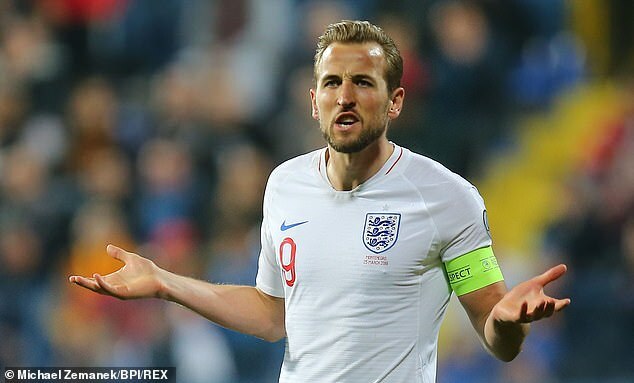 England manager Gareth Southgate will however be hoping Kane can recover in time for the semi-finals of the Nations League, which take place in early June.